While heading towards the creation of a mobile app, one of the prime decisions that businesses get trapped in is choosing the right framework. Selecting between native, web app and hybrid app is quite stressful at times. Each of these frameworks has its own pros and cons associated. However, landing to the right decision depends on user experience, business goals, timeline, etc. Since hybrid mobile app share the properties of both native and web apps, people consider it as the most popular technology. A hybrid app is a web app that is lightweight. 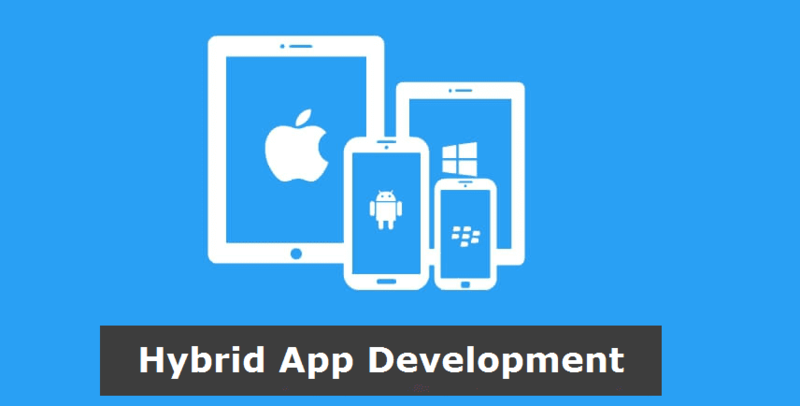 Hybrid mobile app development allows to leverage certain native platform functionality and device hardware capabilities that a web app cannot access. Being a combination of both native and web app, they can take advantage of many device features and also rely on HTML being rendered in a browser. Hybrid mobile applications are in vogue as they encourage cross-platform development. The coding written in hybrid app targets the device’s web view. Hybrid as an advanced framework moves you faster from idea to app creation. There are so many aspects like total installs, daily active users, churn rate, etc. These factors collectively decide the success or failure of mobile app. Similarly, distribution over the app store has become simpler. Since the framework has an altogether unique concept, it can easily be distributed amongst various app stores. These days, launching a native app involves packaging the code, submitting to the app store and waiting for it to be approved. This entire process takes place around 2-7 days. This is a continuous process in the mobile app world. Mobile app developers wish to be able to update their mobile apps like web apps, multiple times a day, even if required. Hybrid apps turn to be a way out in this context. While updating a mobile app, developers are asked for approval. With hybrid applications, you do not have to approve each and every app before sending it for updates. The creation of hybrid applications is easy in a shorter time duration without investing much efforts. The framework requires less maintenance as compared to native apps. Hybrid apps are flexible and you can easily transform them into another platform. By creating a single app on a platform, you can launch it on another. Hybrid apps are known for being cross-platform. They are easy to scale on multiple platforms and varied operating systems. This framework allows the development team to reuse the code without making any kind of changes to the application. This framework is available free of cost for mobile app developers. It is easy to use, scalable and work on clean markups. These markups allow developers to complete the project with efficiency and perfection. An open source framework, Ionic features robustness in the developed apps. Mobile Angular UI is a HTML5 framework that makes use of Angular JS and Bootstrap 3 for creating interactive and responsive websites. It is featured with all Bootstrap 3 components that are not found in other frameworks like switches, sidebars, overlays etc. The framework offers angular-route, angular-animate and angular-touch to the applications. This framework is featured with templates and supports various UI frameworks like Twitter Bootstrap, jQuery Mobile, Topcoat and so on. Developers can preview the app on any device so that they are assured about the app’s functionality and efficiency. Sencha is a smart framework as it delivers maximum support in creating hybrid apps. The framework is highly suitable for enterprises that can invest a huge amount of money. Ext.JS is also available that delivers exceptional performance of the apps. 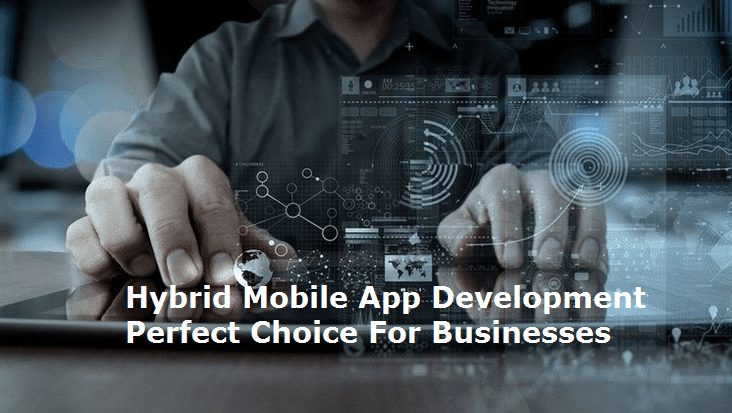 Is Hybrid Mobile App Development The Apt Choice For Businesses? Businesses that wish to reach audiences via multiple platforms in an economical way should select hybrid apps. Since the framework is designed to be cross-platform, you can reach Android, Web and iOS using a single development cycle. Hybrid mobile apps turn out to be a great way to reduce costs while syncing with the existing website. Choosing hybrid mobile app framework for creating cross-platform mobile app experience depends on the core business objectives and expectations from the platform. If you understand these well, you will easily be able to move towards the right decision. HTMLPanda has been developing hybrid mobile apps for years. Over the years, our success rate has been climbing. Our professionals deliver high performance hybrid mobile app development services that cover entire gamut of hybrid app testing, development and maintenance. We hope you enjoyed reading this post. 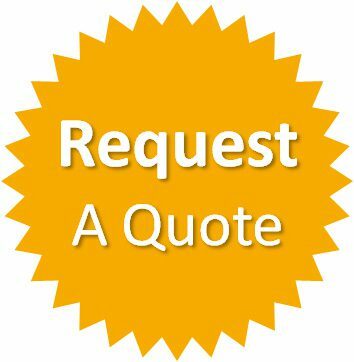 If there are any queries, please leave us a comment. We will get back to you shortly.